New York Mets‘ Jacob Rhame was originally drafted by the Dodgers in the 6th round of the 2013 MLB Draft. He spent the rest of the year with the Ogden Raptors where he had eight saves in the 20 games he pitched that season. The next year he played with the Great Lakes Loons and had a 2.00 ERA in 51 games and was established himself number 23 prospect in the Dodgers organization. In 2015, he played five games with the Tulsa Drillers and finished the game with the Rancho Cucamonga Quakes where he continued his success with a 2.68 ERA and struck out 70 batters. He moved up to the number 18 spot on the Dodgers prospect list heading into 2016. With the Oklahoma City Dodgers he saw his ERA rise to 3.29 as most pitchers do in the Pacific Coast League. His struggles continued in 2017 where he had a 4.31 ERA and dropped off the Dodgers prospects list before he was traded. 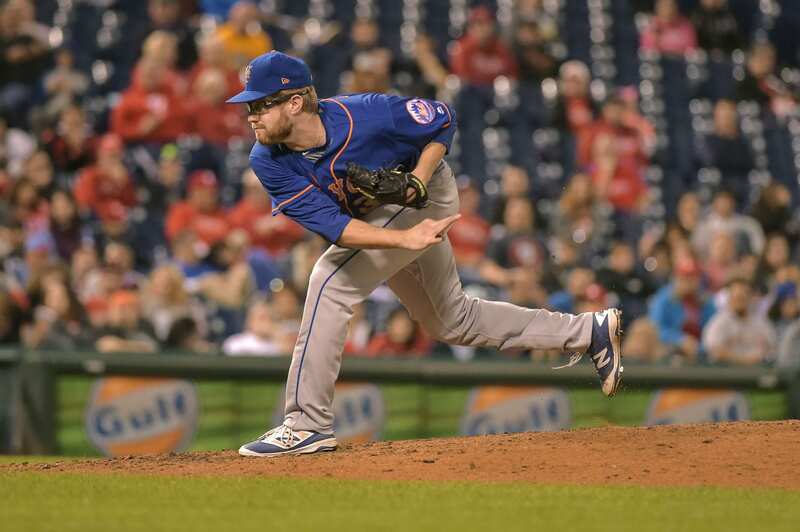 Upon his arrival to the Mets he pitched six innings with the Las Vegas 51s and only allowed one run. When he was brought up to the Mets as part of the September roster expansion he struggled giving up nine runs in nine innings and had an alarming 2.11 WHIP. Rhame barely makes the Mets top prospects list at number 30. He is very reliant on his fastball which sits at 95-96 mph and can hit the upper-90s. His secondary pitches are mediocre but his slider show some bite on it every once in a while and his change-up still needs work. He walked too many batters in his short MLB stint but he usually has had decent control. Decent has summarized his Spring Training allowing four runs in the nine innings he has pitched. Seven of his nine outings this spring has been scoreless. The Mets see potential in Rhame since they have kept him with the team while most of the minor league guys have been sent down already. If he makes the team he likely will not see too many high leverage situations until Mickey Callaway feels he is ready for them. How Much Salary Cap Space Do The New York Giants Have?